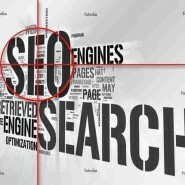 Use a search engine friendly framework on which to build your website. Design a custom header graphic for your website, with your logo prominently displayed. An “about” page (for firm philosophy, etc.). One page for each geographical location of your company. One page for each service you offer. Add a “news” section to your website. This will be done in the form of our proprietary WAM Platform (to make it as search engine friendly as possible) to which relevant articles and news items can be published on a regular basis. Create a “Free Consultation” page that includes a form for potential clients to fill out. The completed form will be received by one (or more) of your company’s employees via email (per YOUR specifications). Customize the footer of your website with your company’s name and a copyright notice. Set up a navigation menu on your website, with links to all pages as well as the “news” section of your website. (OPTIONAL – No Extra Charge) Include one graphic on each web page. You can either provide us with high resolution images, or we can source royalty-free stock photos. 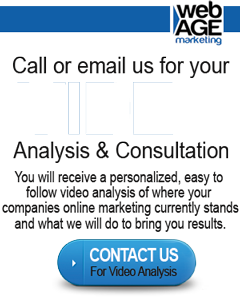 (OPTIONAL – No Extra Charge ) Add one embedded video on any page of your website (video creation is not included with this “custom website” service; however, it is included in the “Video Ranking Listing” service.). (OPTIONAL – No Extra Charge) Install a “Google Analytics” code on your website… so you can track your traffic! (OPTIONAL – Additional Fee) Design a custom logo for your company. This logo will be prominently displayed on the header of your website. You will be provided with a copy of this logo that can be used on business cards, letterhead, etc. Our regular price for a custom website as listed above (without a logo) would be: $1,899. However, we are for a limited time offering special reduced prices to ten businesses in the area.
. . . If you choose to hire us, we will build your website to the specifications above, for just $999 ($150 extra if you want us to design your logo).